Arthur Arkush continues our PFW division by division preview of the 2016 NFL season taking a division each week and breaking down the change, improvements and prospects of each NFL club. We continue this week, with the NFC North. PFW's Hub Arkush (@Hub_Arkush) joins us in-studio to kick things off and preview the Chicago Bears. We head up to Minnesota, with Vikings beat reporter for the Star Tribune, Matt Vensel (@mattvensel) to preview the Minnesota Vikings. Then we head to the motor ... See More city, and preview the Detroit Lions with MLive's Justin Rogers (@Justin_Rogers). Finally, we wrap our NFC North previews in Green Bay with Green Bay Press-Gazette Packers beat writer, Ryan Wood (@ByRyanWood). 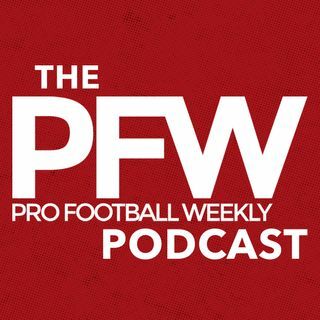 The guys discuss this and much more in this week's Pro Football Weekly Podcast!